Owain had waited a year to sing for the Duke of Kas Mendoc. But his master, the renowned Trystan of Langorn, has a change of heart denying him the fame and honour he craves. They journey to Skeinhold Castle in the wild Cae Valley. Bitter and riddled with doubt, Owain wonders if he'll ever emerge from his master’s long shadow. Yet Skeinhold hides a dark secret known only to a dying lord and his runaway kin. The veil between worlds grows thin and Owain's Dreamsight stirs. Who is the Lady of Skeinhold and why does she possess an artefact thought lost? Can Owain and Trystan discover the truth in time or will Owain succumb to temptation? 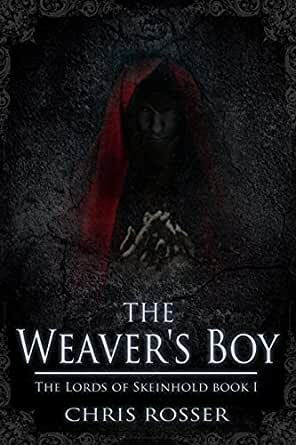 The Weaver's Boy is the first part of The Lords of Skeinhold, a series of three fantasy novellas set in the disputed lands between the Kingdom of Wengorod and the Principality of Langorn. Owain, the title character in The Weaver’s Boy (The Lords of Skeinhold Book 1), is young and impatient. He wants to know everything his master, Trystan, has to teach him, and he wants to know it now. But like all impatient boys in tales of magic and power, he must first experience his own weakness and hope for redemption. It’s always a delight to pick up a book by an indie author and discover a treasure. The Weaver’s Boy is such a story. 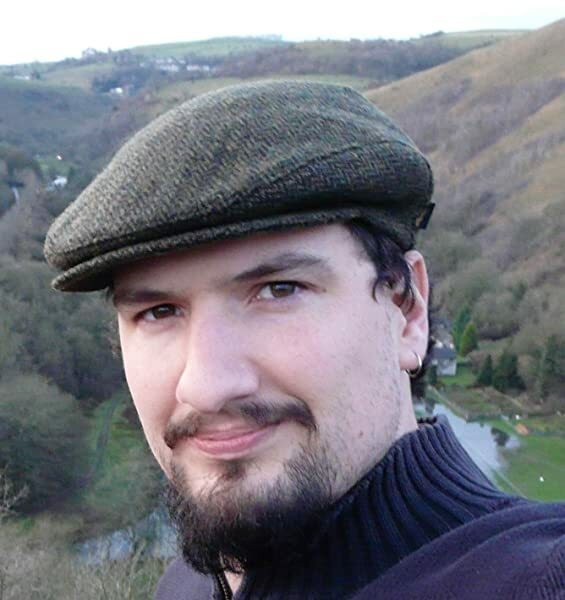 Set in a country based on the author’s native Wales, the world unfolds as its own distinct character. It’s clear Mr. Rosser has done his homework in creating this world, but he doesn’t fall prey to the need to spend precious story time on setting. It’s there, it determines the movement of the action, but it doesn’t overwhelm character and plot. Add to that the fact attention was given to the tools of a writer—grammar and style—and you have a great book. There’s a piss in a forest, a sexual encounter of magical proportions and a battle for power and control in this novella, and Rosser handles it all with ease. Rosser’s voice rings through like a clear dinner bell. Unobtrusive but undeniably present. 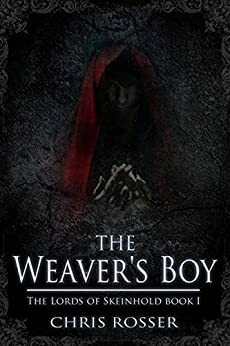 The Weaver’s Boy was a joy to read, and I’m looking forward to the next installment in the series. A prequel can be short, but the first book in a series should be longer; embrace more of the story. This first book seems more like a second prequel. That said, the series retains the qualities of epic fantasy. The characters are engaging and well-fleshed, the story promises many future lines of development and, ok, I’ll say it, I love these books! A magical tale that kicks off a soon to be series set in a mythical world very much like Medieval Wales. The adventure begins when an apprentice bard with a full bladder startles two runaways. The apprentice's adventure spirals out of his control from that point on. Full of bards, magic, and evil protagonists, this short work introduces readers to the woven world. The Lords of Skeinhold is the series name, and based on this work, looks to be one that will excite and entertain with all the elements that dark fantasy fans love. Absolutely loved this book! The descriptions are exactly the right amount to let you see very clearly where you are without being obtrusive in any way. The story itself pulled me in from the start as young Owain encounters two runaways in the woods and their warnings to stay away from the castle he and his master are traveling to. From there the author treats us to magic, intrigue, manipulations, mystic energies and more. This was a delightful read to get lost in! Looking forward to the next book! This is a wonderfully written book that only leaves you wanting more. I follow Rosser on Twitter and discovered this book. He is a magnificent author and knows how to put you in the story. I cant wait for more!